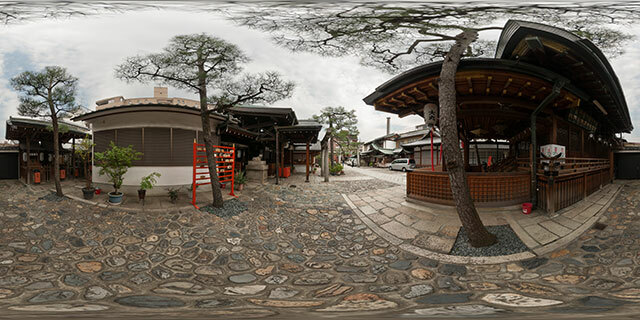 360° VR panorama in the grounds of Toyokuni Shrine (豊国神社), in Kyoto, Japan. 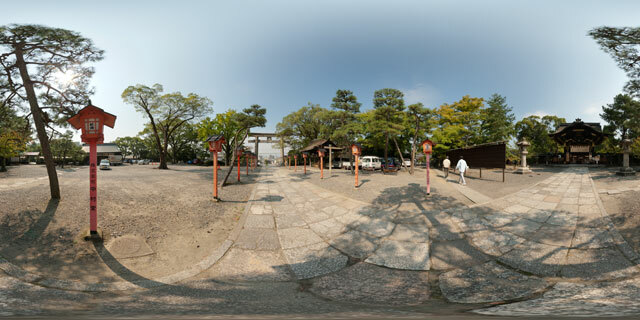 A large concrete Torii (鳥居) gate is placed over the entrance to the shrine grounds. 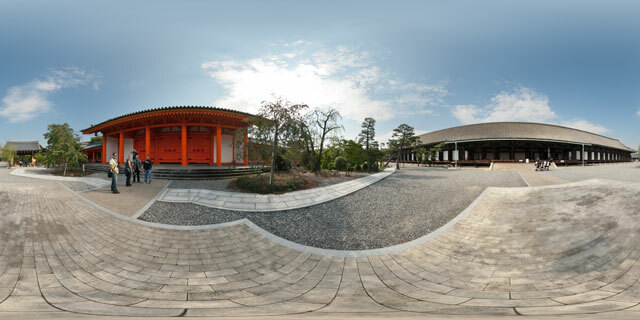 A series of orange lanterns line the sides of the path up to the karamon (唐門) gate at the shrine entrance. 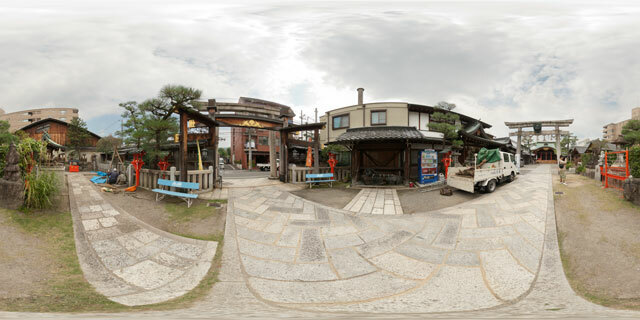 It is thought that the gate may have been moved here from Fushimi Castle. 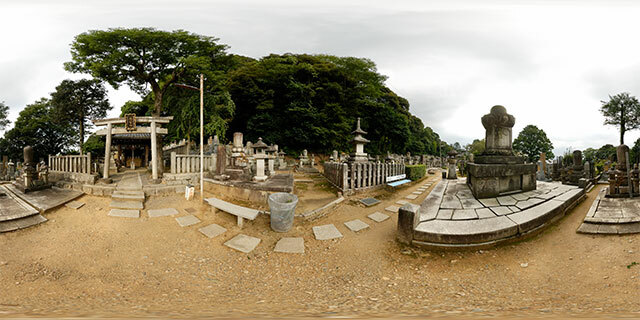 Toyokuni Jinja is dedicated to Toyotomi Hideyoshi (豊臣 秀吉), who unified Japan under his rule. 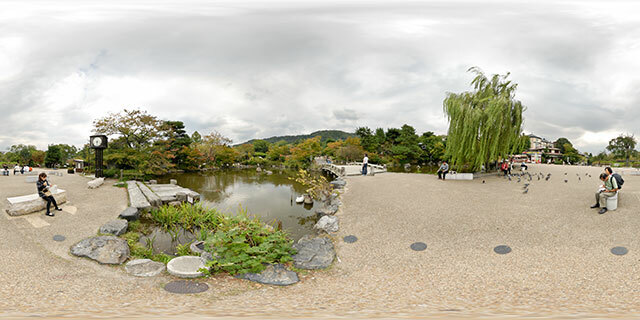 It was originally built in 1599, but then closed in June 1615 by Tokugawa Ieyasu, Toyotomi’s rival who rose to power after his death. 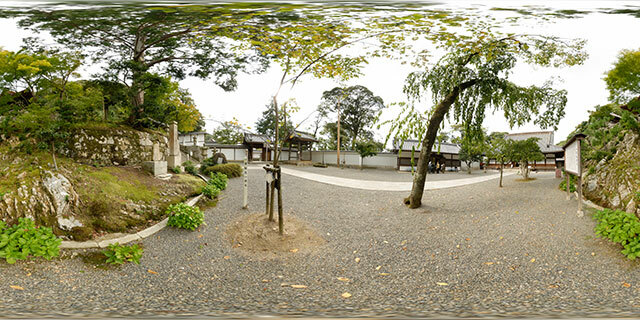 In April 1868 Emperor Meiji ordered that the shrine be restored. 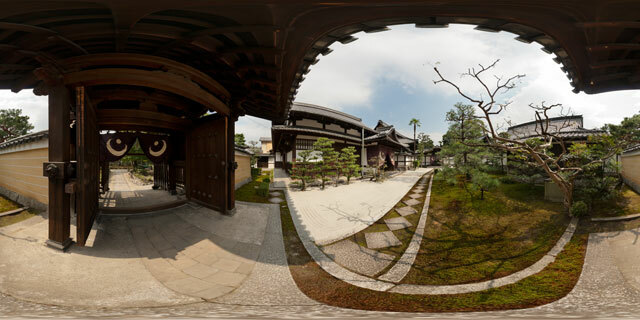 360° VR panorama in the Rengeō-in temple complex in Kyoto, Japan. 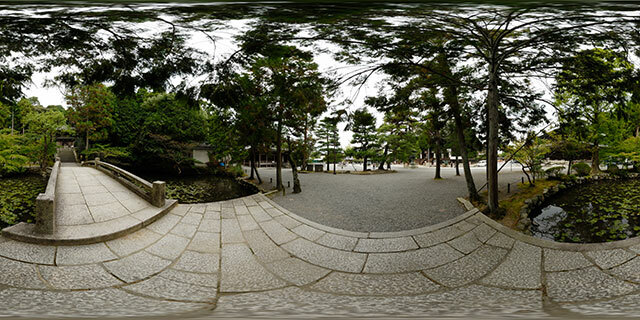 The long hall to the west is Sanjūsangen-dō (三十三間堂), measuring a length of 120 metres long. 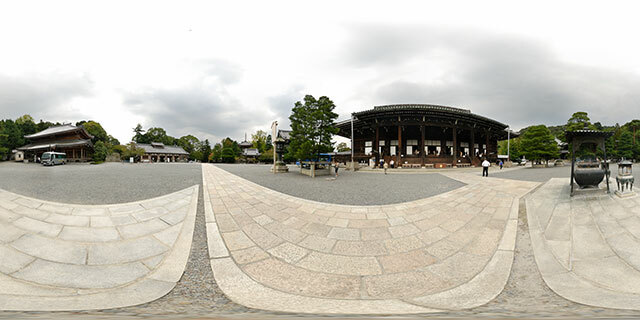 The hall’s name literally means ‘Hall with thirty-three spaces between columns’.